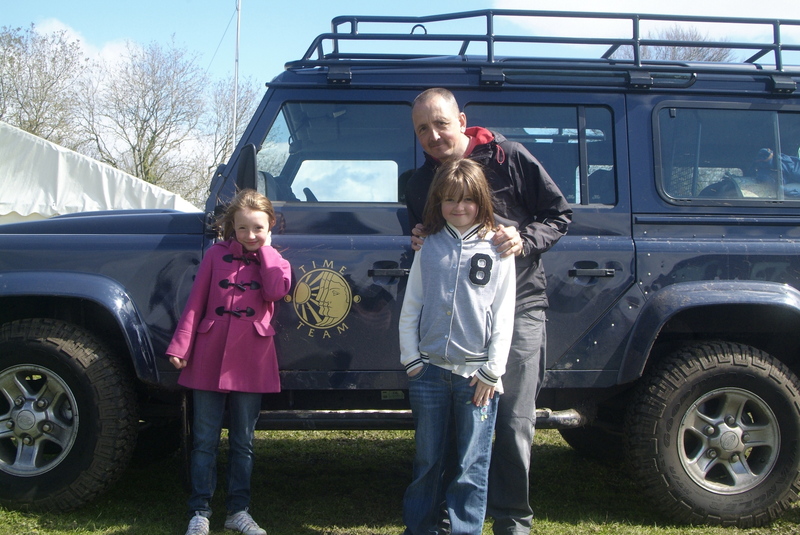 During April 2012 we invited Time Team to come and help the local community explore the archaeology of Caerau hillfort. They helped us finish off the geophysics of the hillfort’s interior and dug five trenches to help discover who was living in this place in the past. 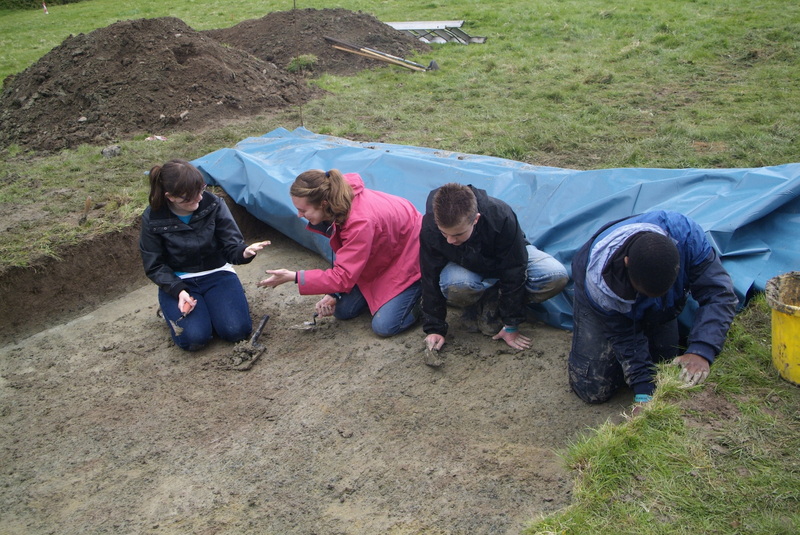 What they discovered was truly amazing – rows of Iron Age roundhouses, the homes of the prehistoric inhabitants of Caerau; the quernstones those people used to grind wheat into flour; and the fragments of pottery those Iron Age people used to cook and store food. One piece of pottery, a carinated bowl, was particularly important as it is unique in south Wales and dated to around 600 BC. They also found evidence of Roman iron-working and even the remains of a Roman-British settlement within the interior of the hillfort that must have been occupied 100s of years after the hillfort had been abandoned by its Iron Age inhabitants. 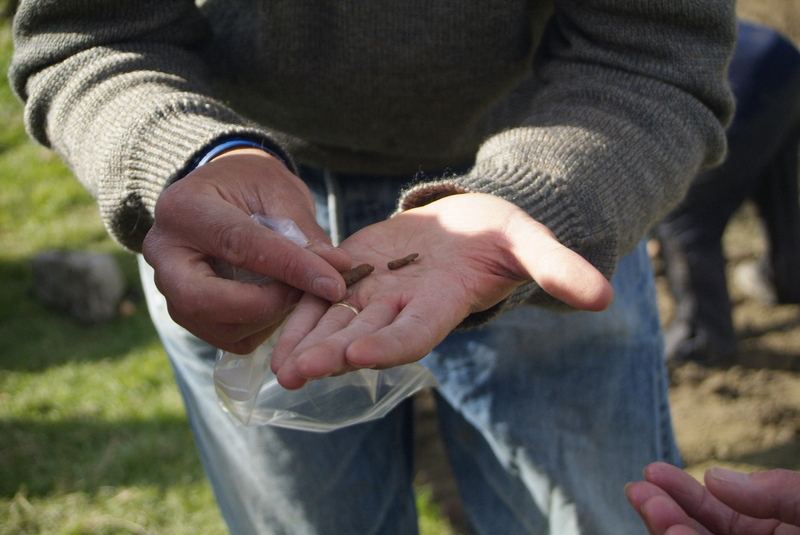 Time Team’s full report on the dig can be found on our Publications Archaeological Reports page, while the programme can still be watched online here.